With our state-of-the-art leisure pool we strive to meet the needs of students, faculty/ staff and the surrounding community. Join us to improve your physical and mental health through the weightlessness of the water. 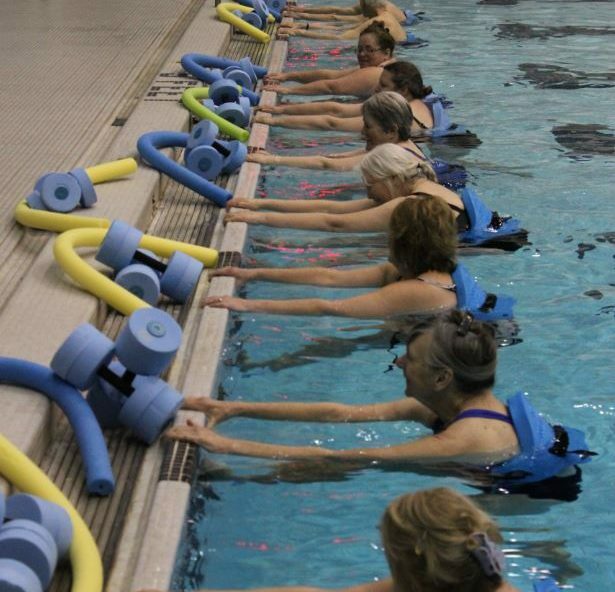 Currently we offer Aquatic Fitness Programs, Private Swim Lessons, Group Swim Lessons, and Leisure Swim. We have something to offer every age group from infants to adults. 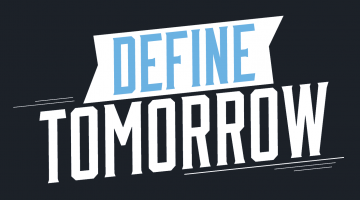 Explore the links below to get started, or register today! 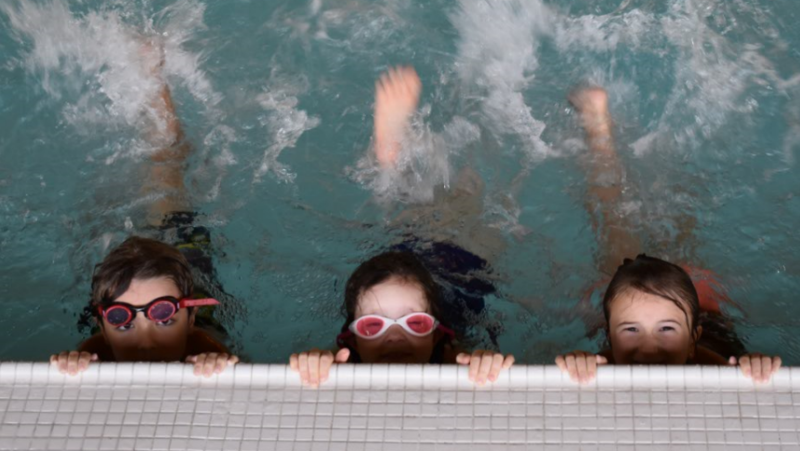 Swim Lessons: Group & Private	Swim Lesson Registration is now open! 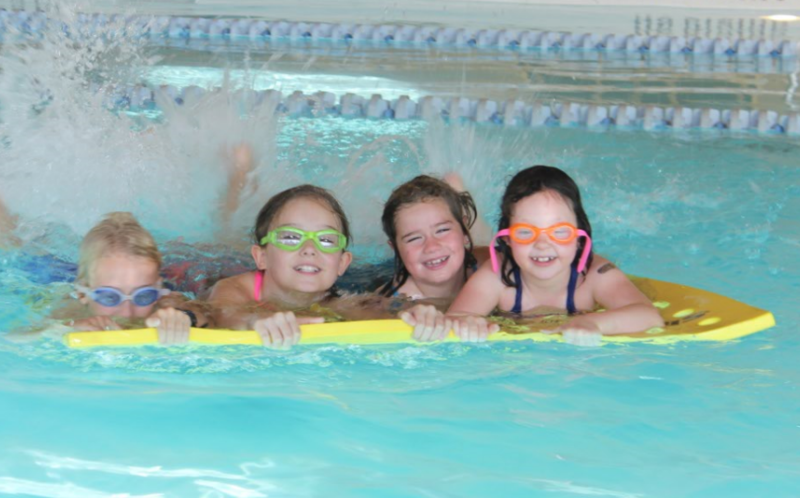 Swim lessons are available for all ages, abilities, and skill levels. You may choose to participate in either Private or Group Lessons. Adult Aquatics Fitness Programs	We offer four different session-based adult aquatic fitness programs – Swim-Ability, Swim Fit, In-Deep Aqua, and Aqua Burn. Click for details! American Red Cross Lifeguard Certification Courses	At various times during the year, we offer certification courses for American Red Cross Lifeguard, First Aid, and Professional Rescuer CPR/AED. Our small class sizes allow for high quality instruction, repeated practice of skills and a positive learning experience. Children should be able to follow instructions in a class environment without a parent present (excluding Little Splashers). We strive to provide a class environment of peers, but there may be an age difference among participants in a class as we sort by ability level, not age. All participants learn at different rates and progress depends on many factors. Because of the shallow depth of the Rec Center Leisure Pool, we do NOT teach or practice any diving and diving is never allowed in any part of the pool. Goggles are highly recommended for participants higher than Preschool or Learn-to-Swim Level 1. A positive attitude for both parents and participants! Please be ready on the pool deck 5 minutes before the start time for your lesson. Your instructor will introduce themselves and answer any questions you may have. Please stay and watch your child’s lesson in accordance with facility policy. We encourage you to practice their skills outside of class. Please refrain from interfering with the class or instructor as it can be distracting for the whole group. Release and Assumption of Risk (“Liability Waiver”) – Required for all facility users. Minors’ forms must be signed by their legal guardian, and can be signed electronically. For details click the link above. Leisure Pool Hours – In general, pool opens 1 hour after and closes 1 hour before the Rec Center. Please note, unexpected closures will be posted on Facebook.